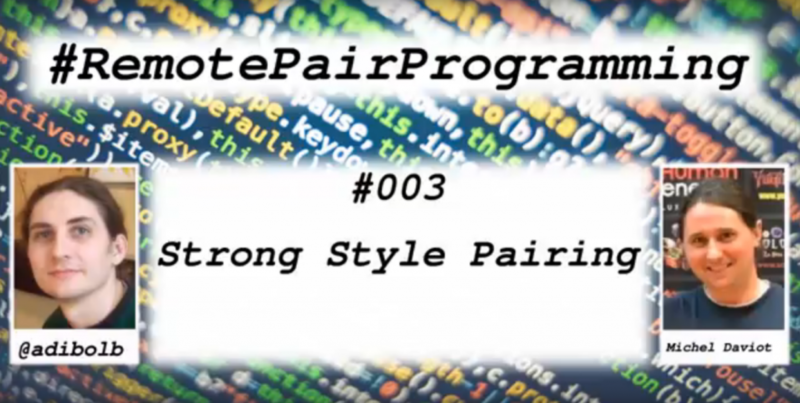 The second episode of this #RemotePairProgramming series is about Strong Style Pairing. My coding pairing partner this episode is Llewellyn Falco. 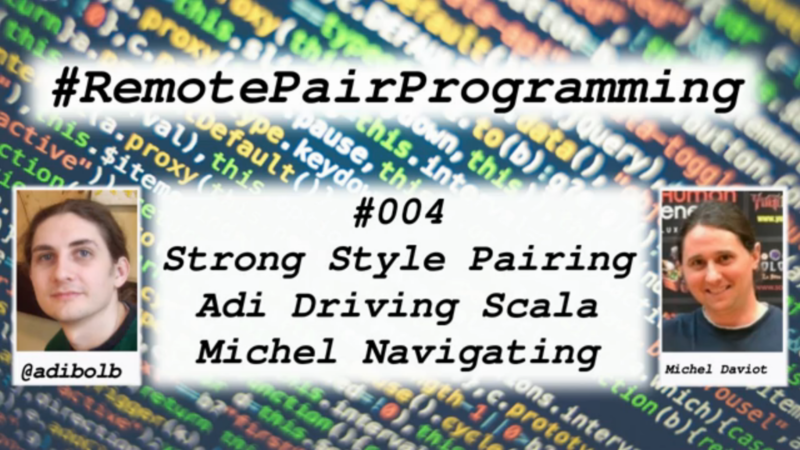 Pair-programming is a technique where two programmers stay at the same computer and code together on the same problem. We have two roles: Driver and Navigator. Driver = the partner who writes the code, and focuses on small details, on short term. Navigator = the partner who understands what the driver writes and focuses on long term decisions. Typically the navigator’s focus is around the design, architecture concerns, clarity, conceptual cohesion, etc. During a session of strong style pairing, the Navigator will take all the decisions. The Driver focuses on the small details, just to do what the Navigator has in mind. If something is unclear the two have a dialogue. 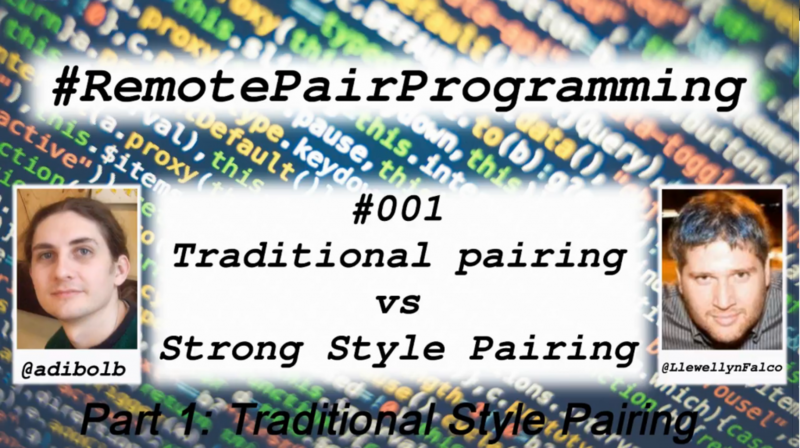 The same as with traditional style pairing, both roles have the same focus: try to solve the problem as fast as they can with the highest quality possible. This is the first episode of a series of codecasts where I will explore, together with a remote (duh!) pairing partner, what remote pair-programming is. It is also about pair-programming techniques, and how they help us, or not. My remote parter this episode is Llewellyn Falco. Two people stay on the same computer and code, for a specific problem. But it is more than that. We have two roles: driver and navigator. 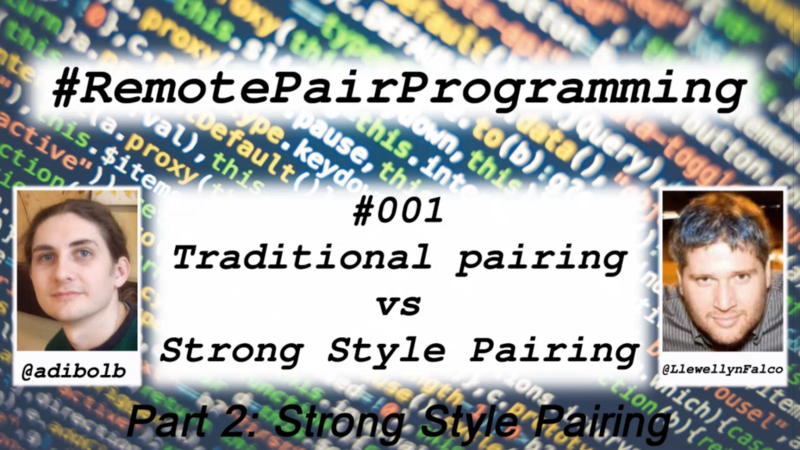 During a session of traditional style pairing the roles can stay the same, or they can change. 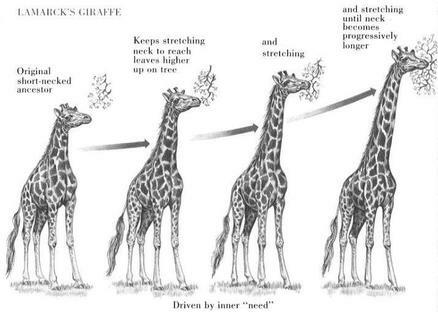 But both roles have the same focus: try to solve the problem as fast as they can with the highest quality possible.